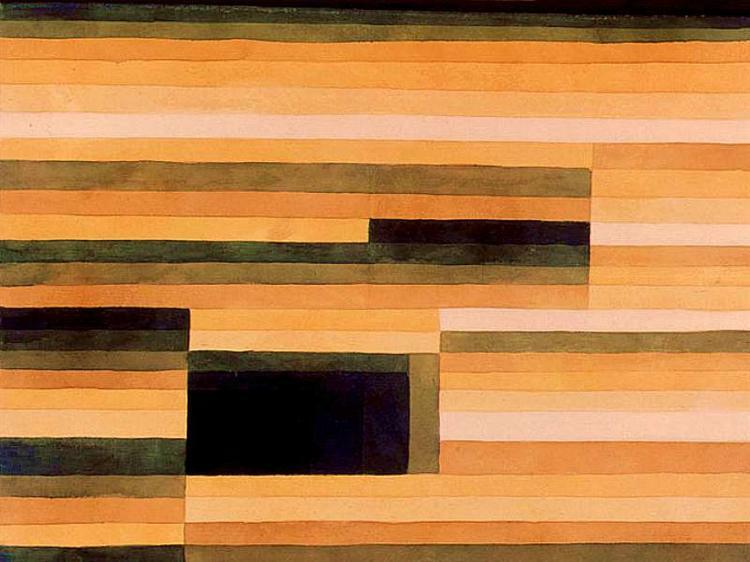 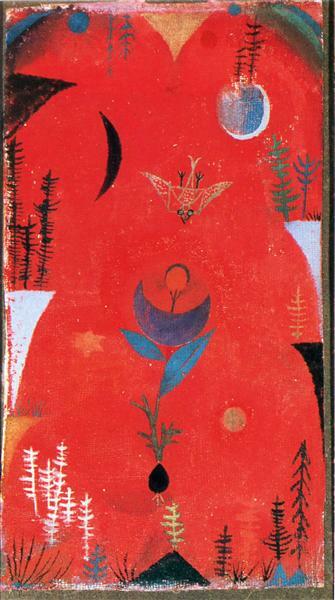 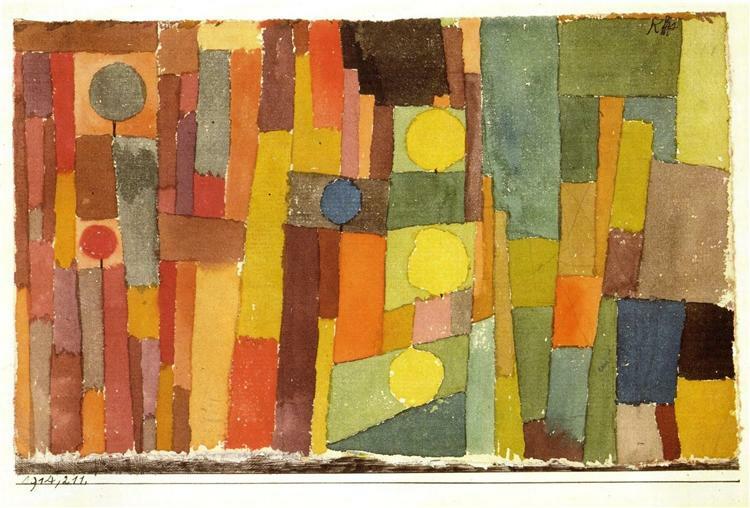 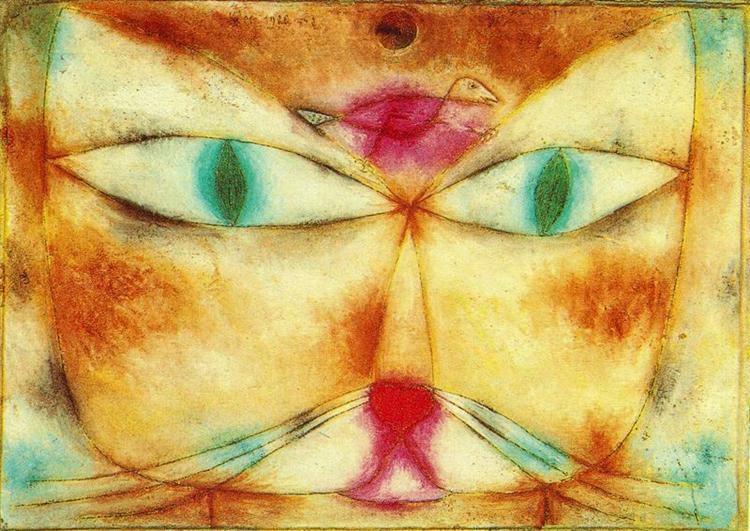 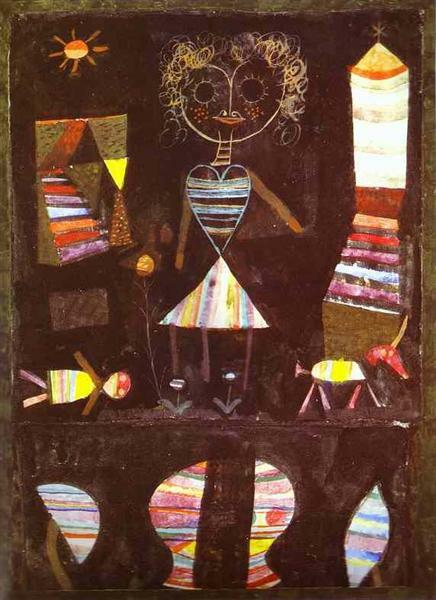 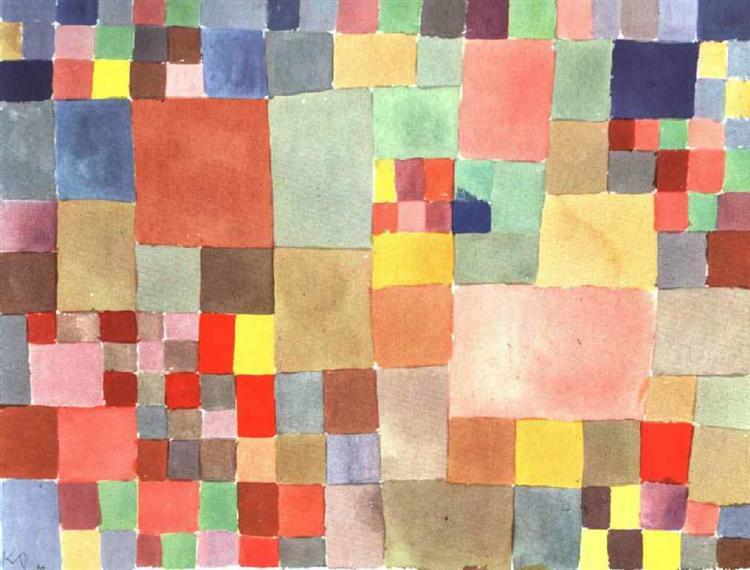 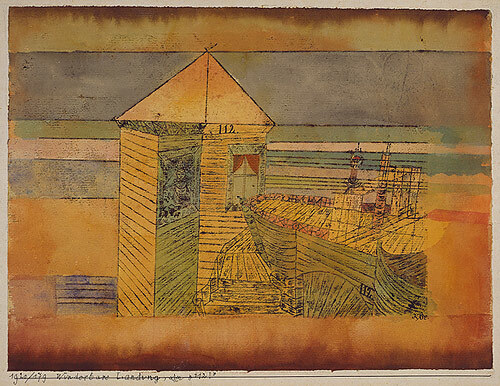 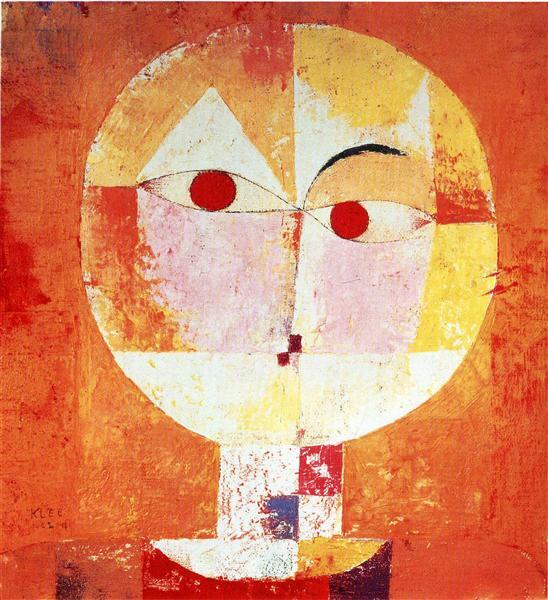 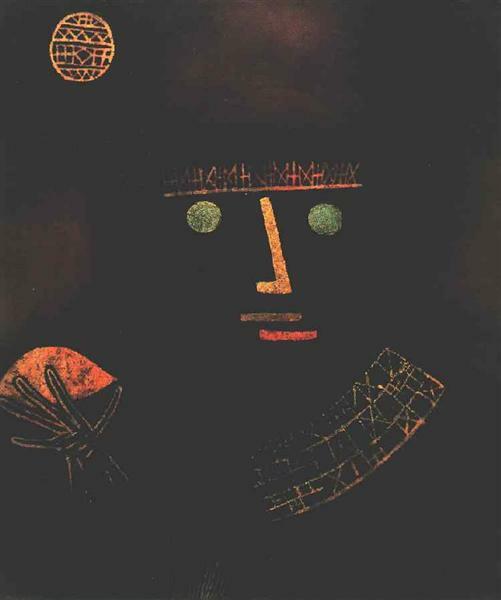 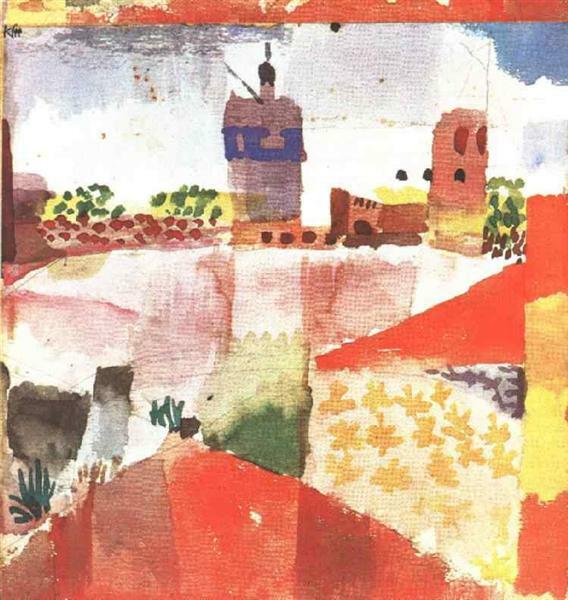 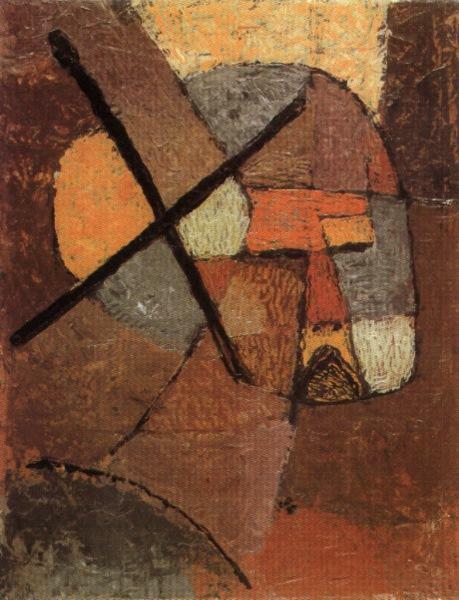 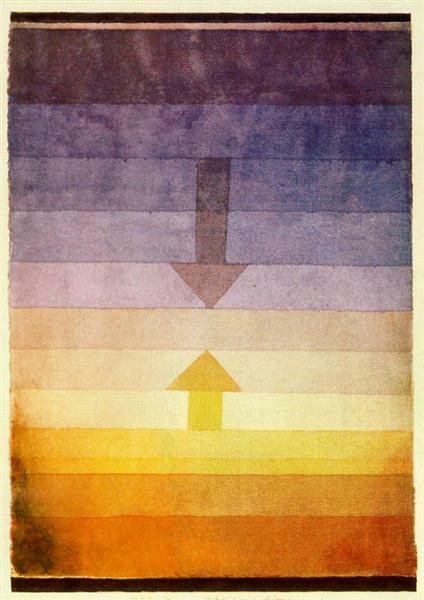 This painting, considered Klee’s masterpiece, is an example of Klee’s masterful skill with color. 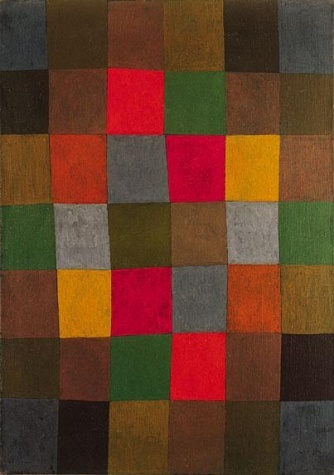 Small blocks of shifting colors float through the background, set in place with a thick black outline, evincing the idea of a building or a house. 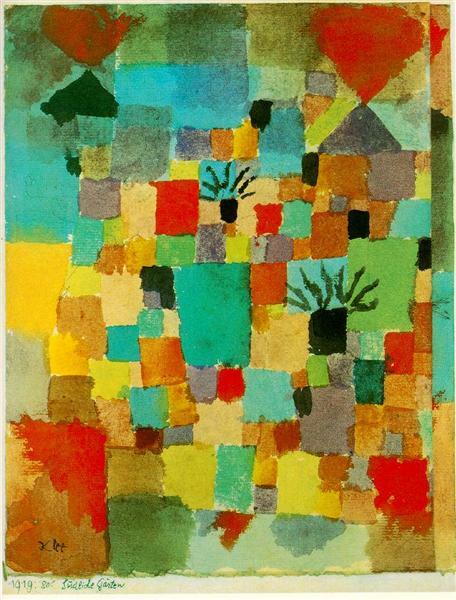 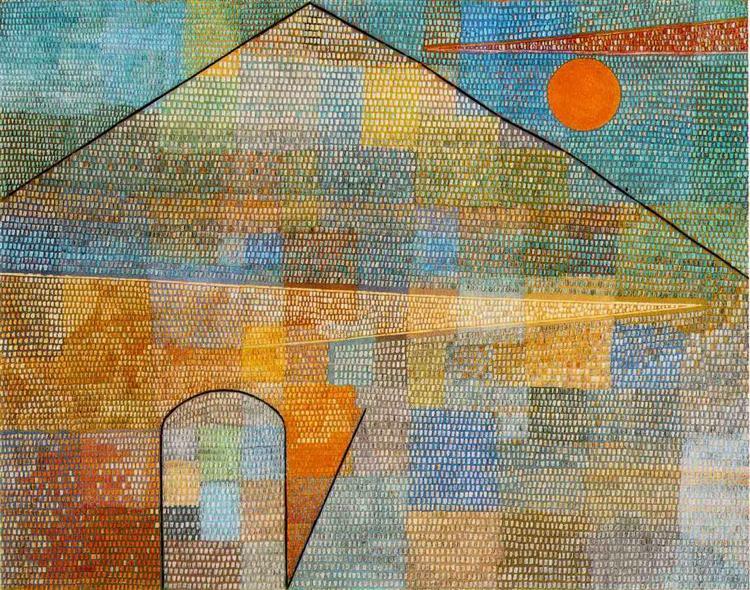 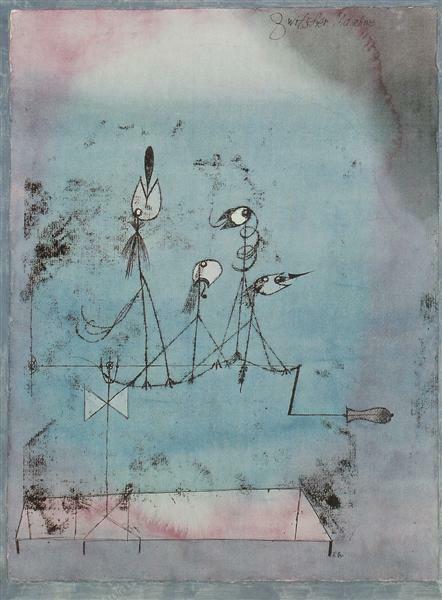 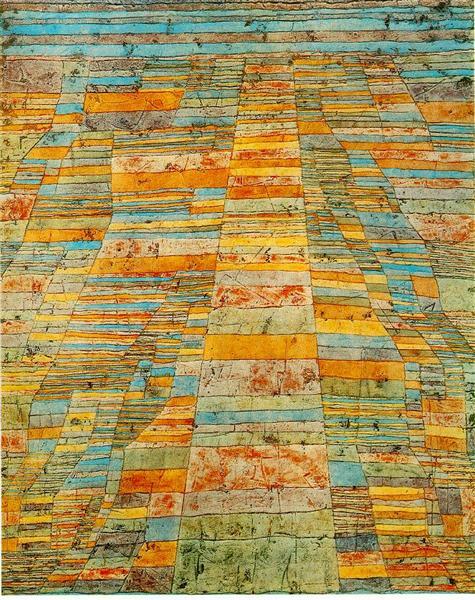 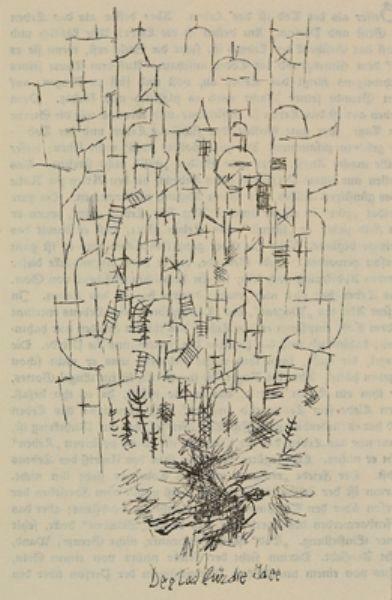 It is also the finest example of Klee’s ability in pointillism and technical ability as an artist. 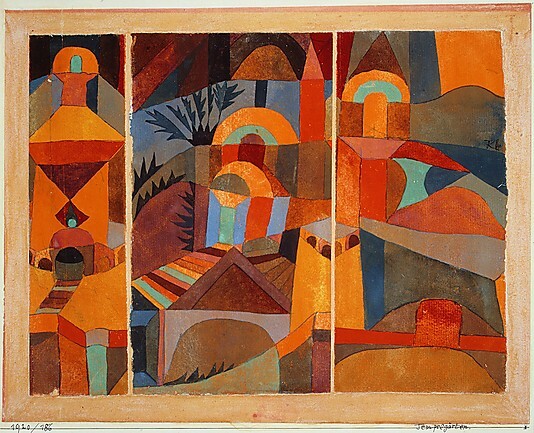 As an artist with great skill with color, he was also a great teacher at color mixing and theory. 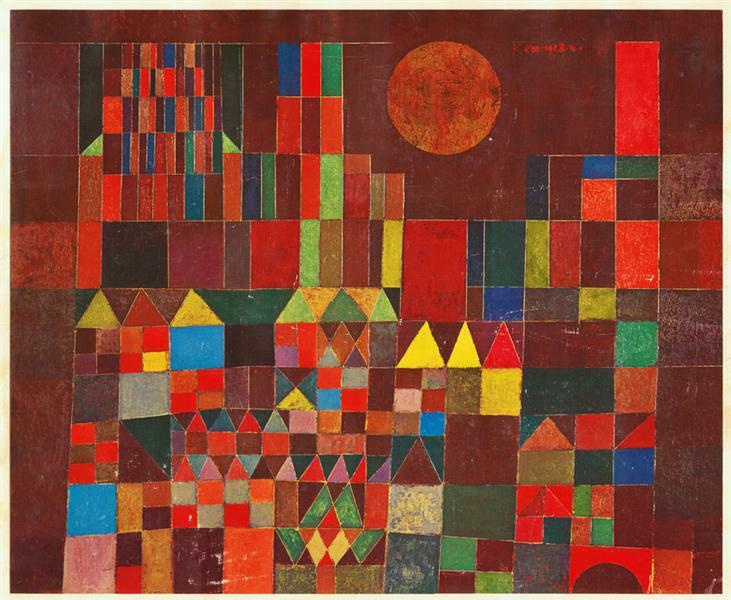 He wrote his great treatise, a collection of lectures, entitled Writings on Form and Design Theory, which is considered one of the most influential writings in modern art.